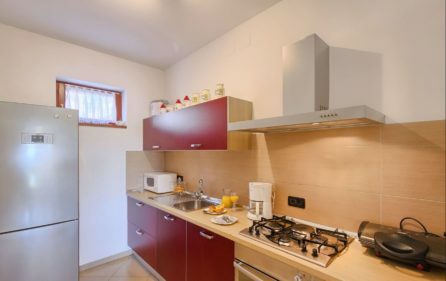 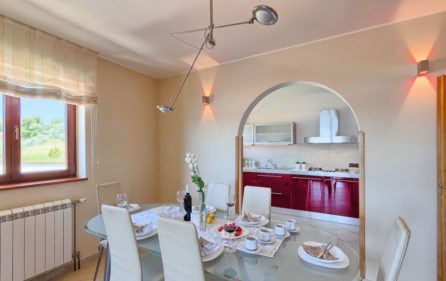 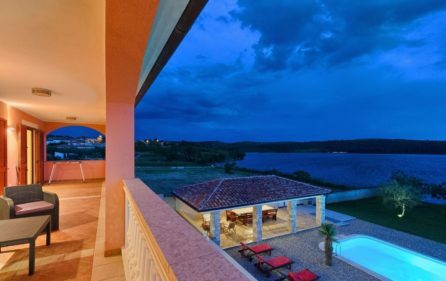 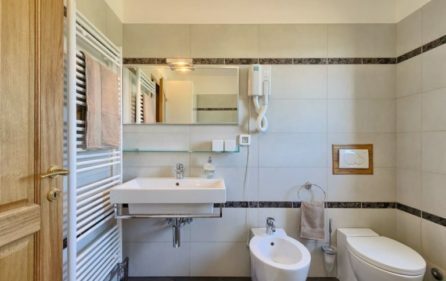 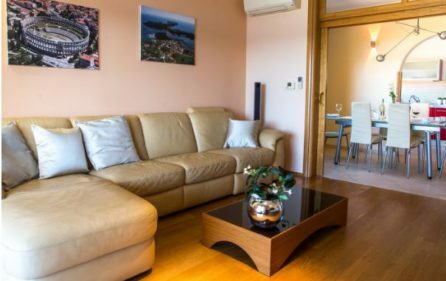 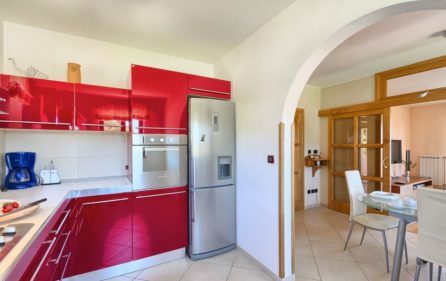 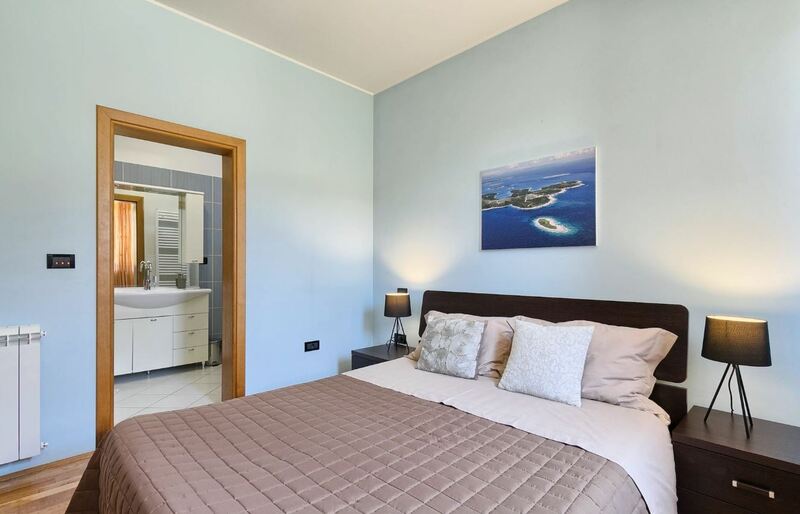 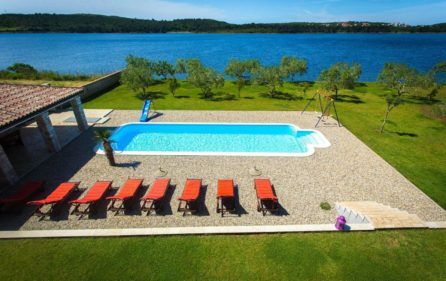 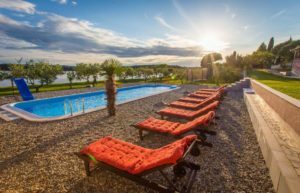 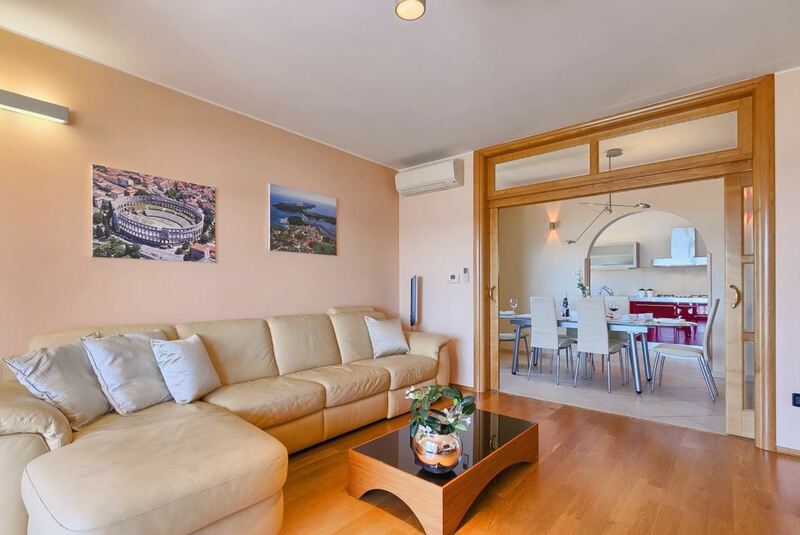 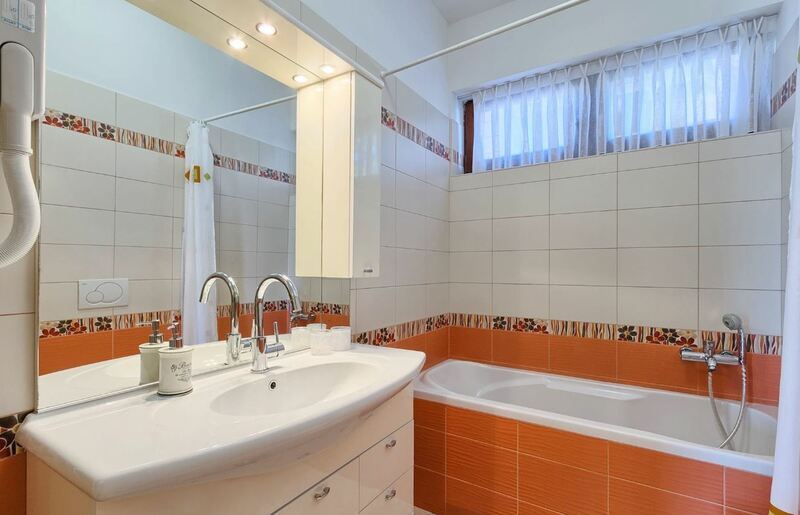 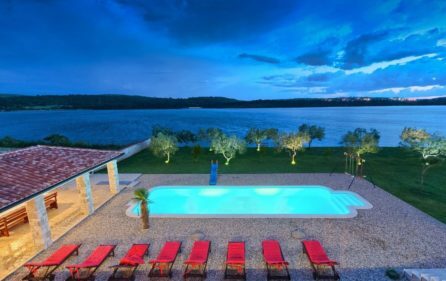 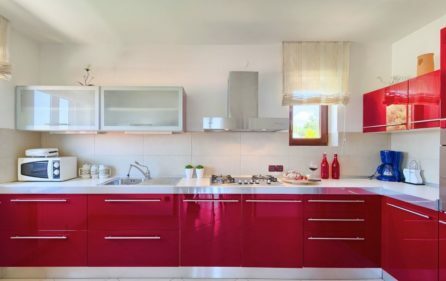 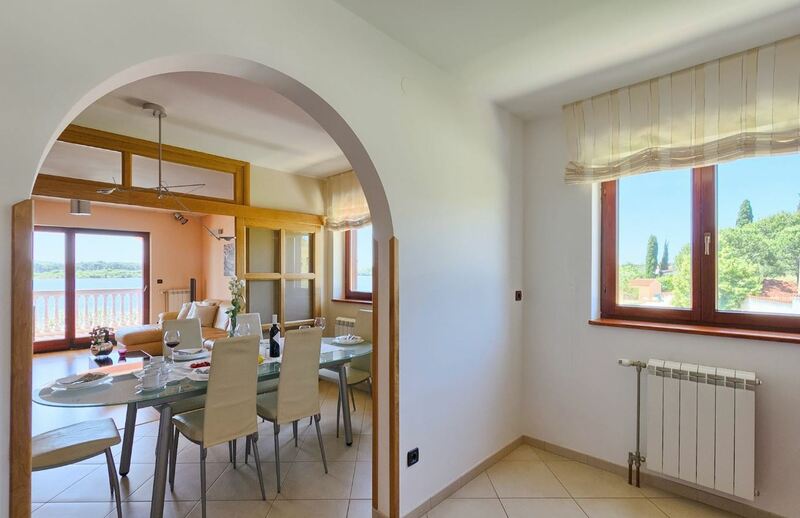 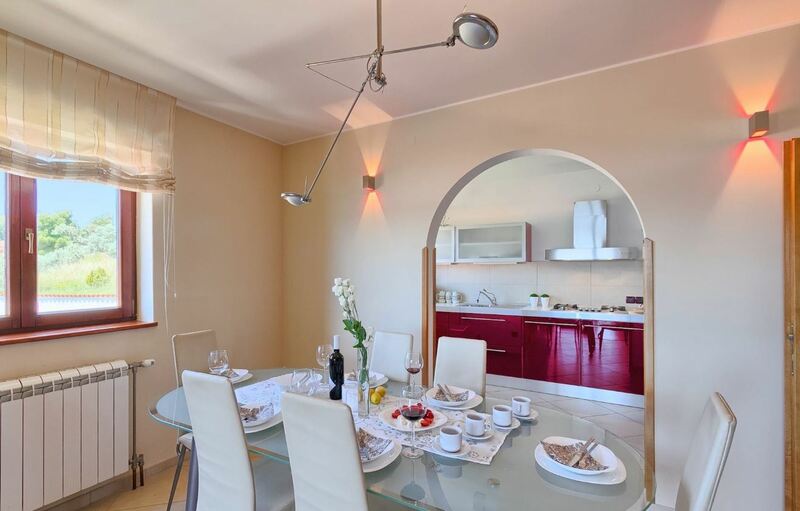 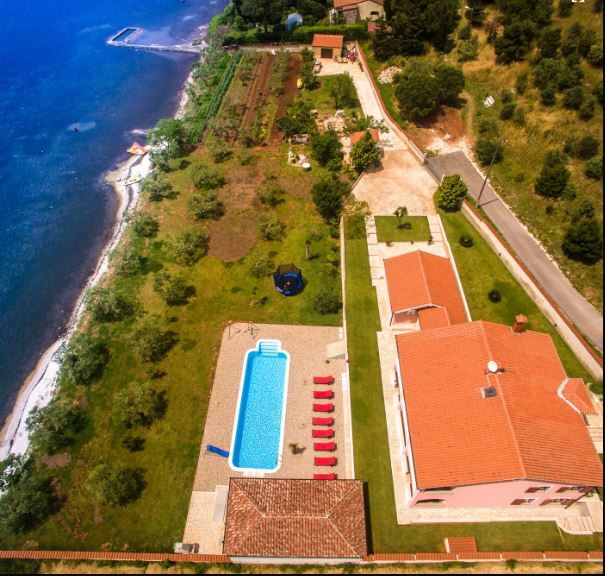 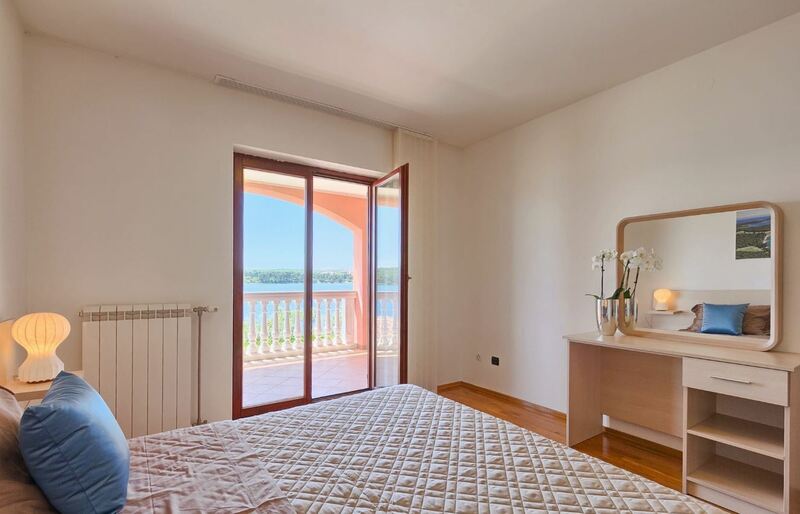 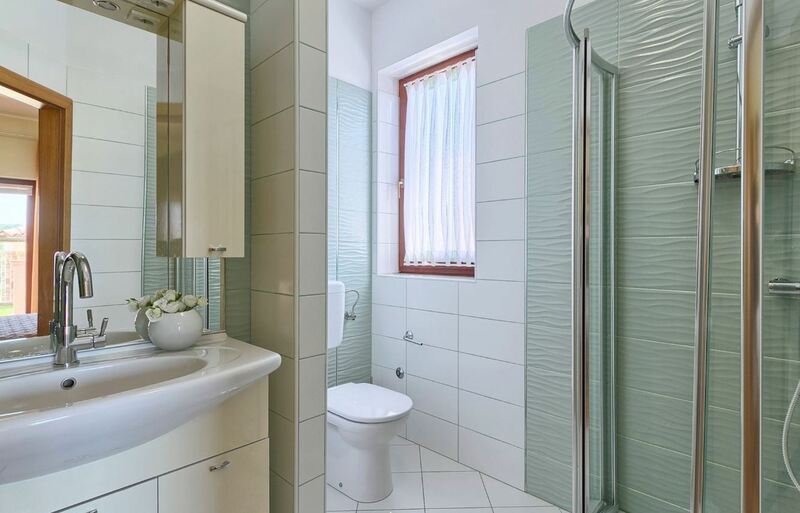 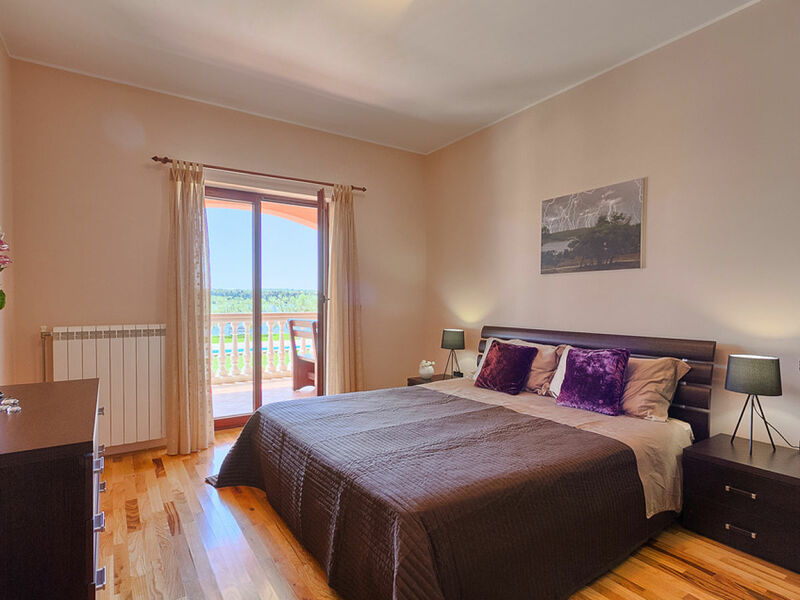 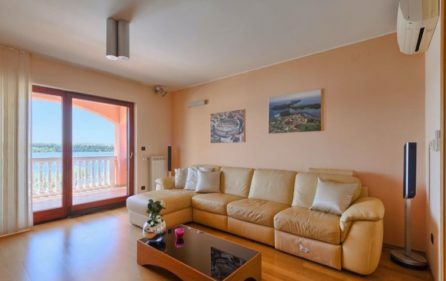 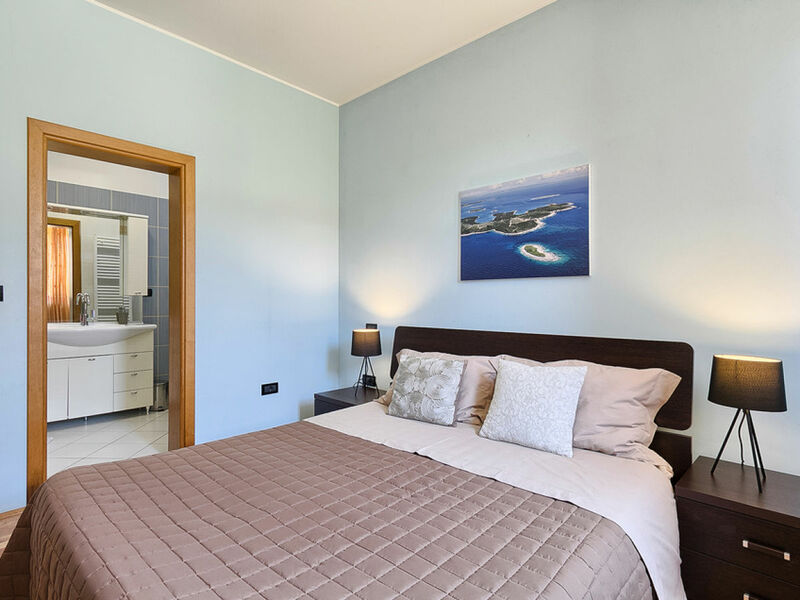 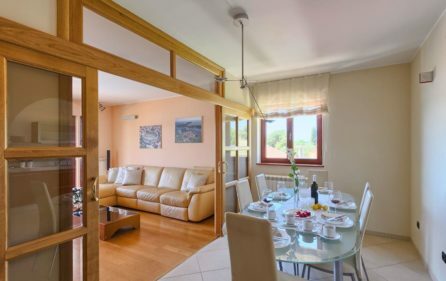 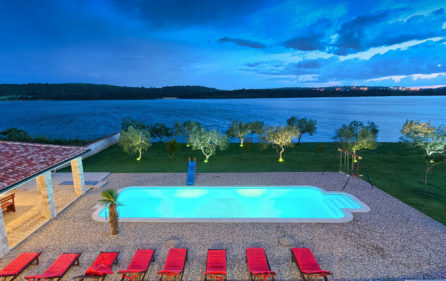 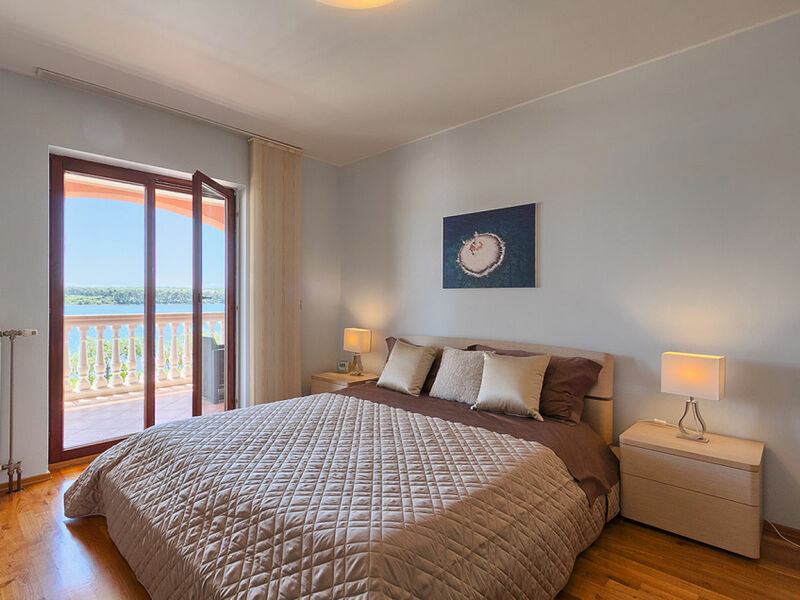 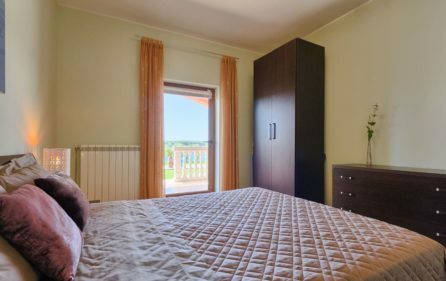 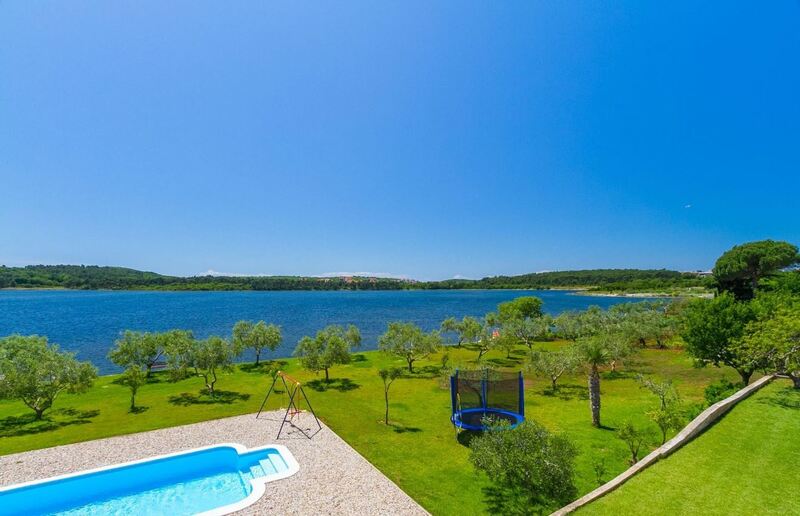 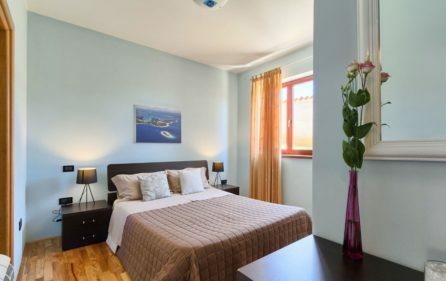 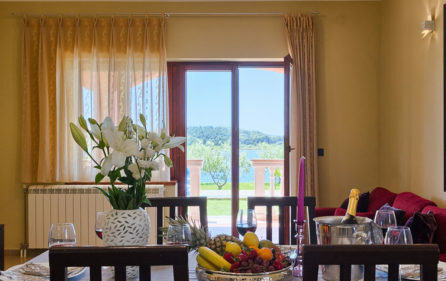 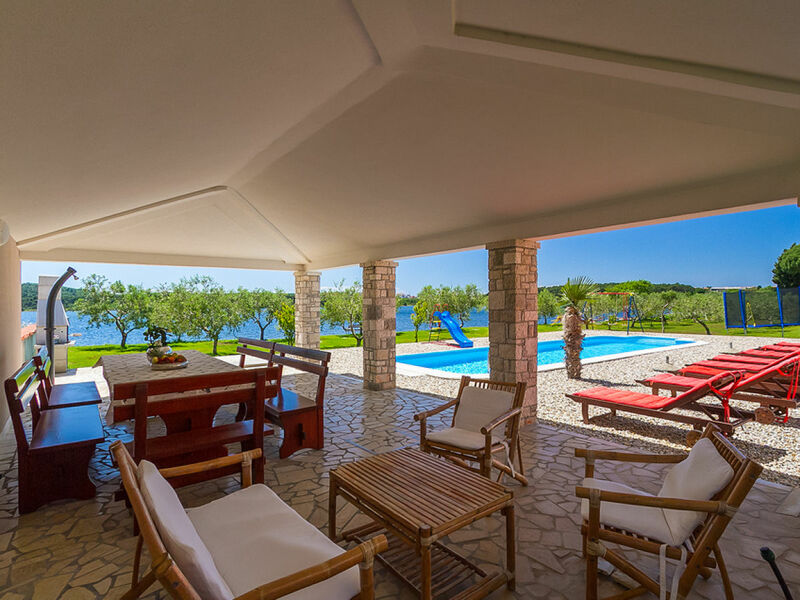 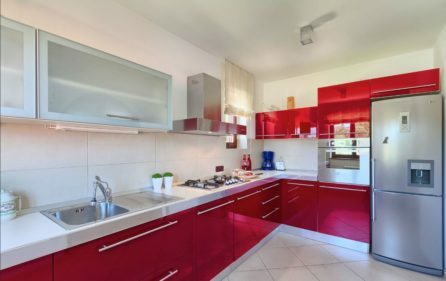 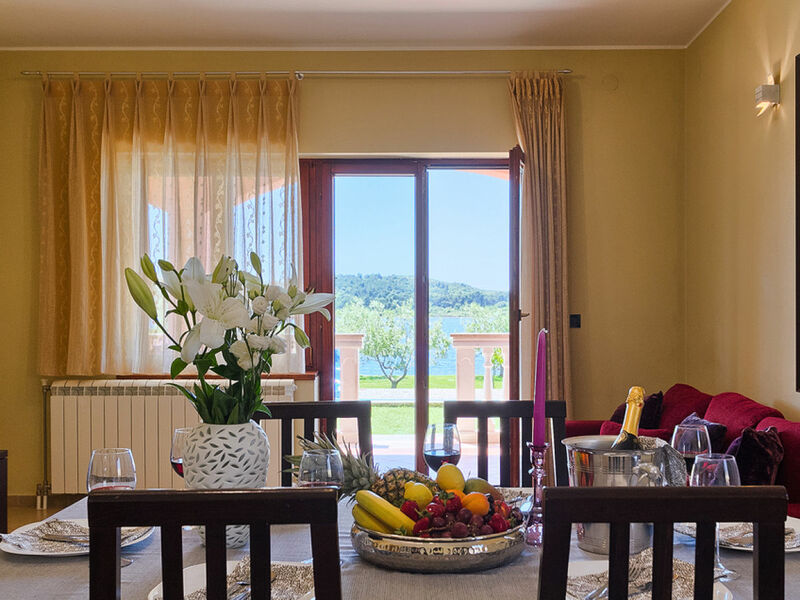 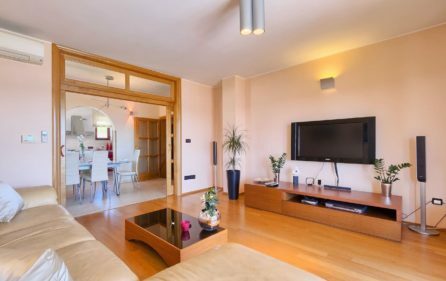 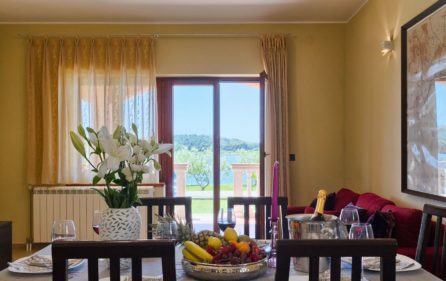 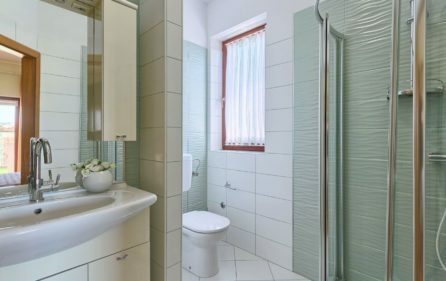 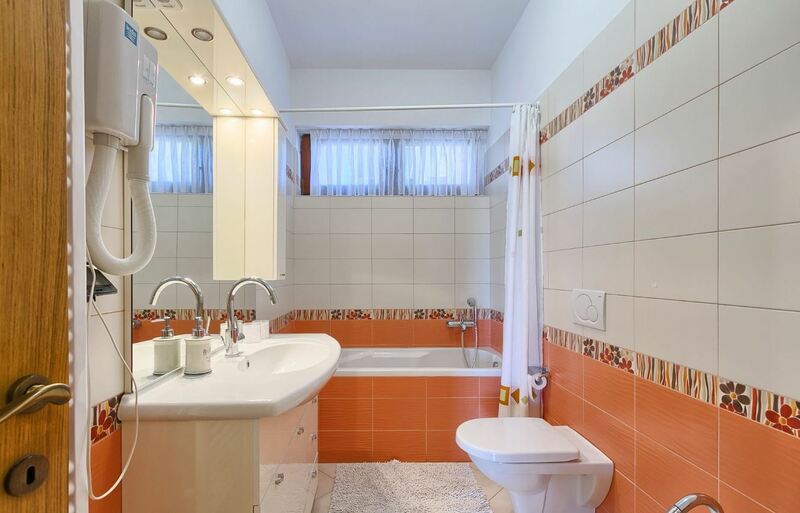 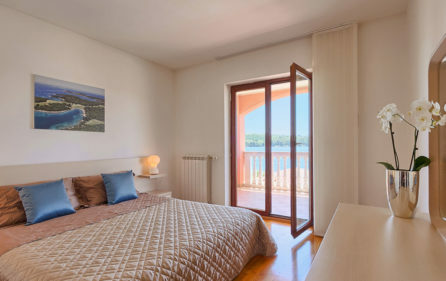 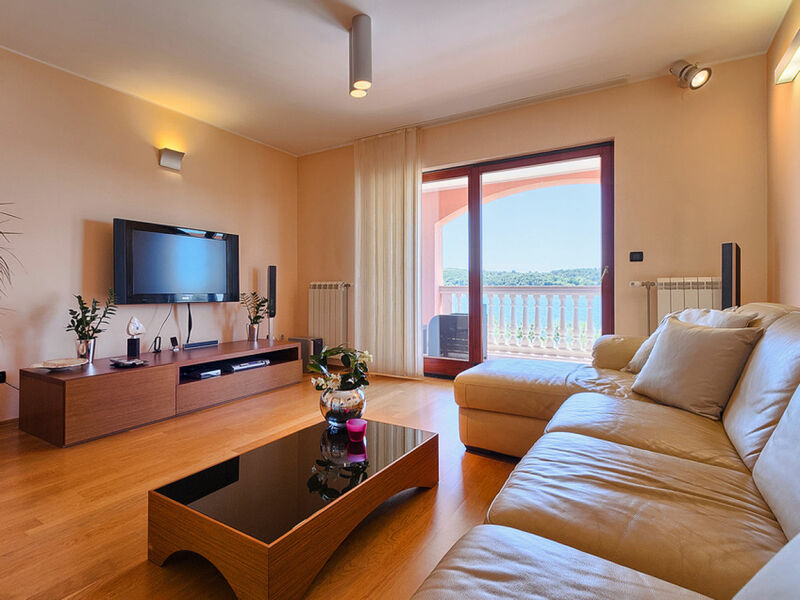 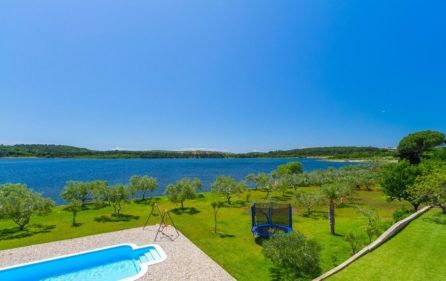 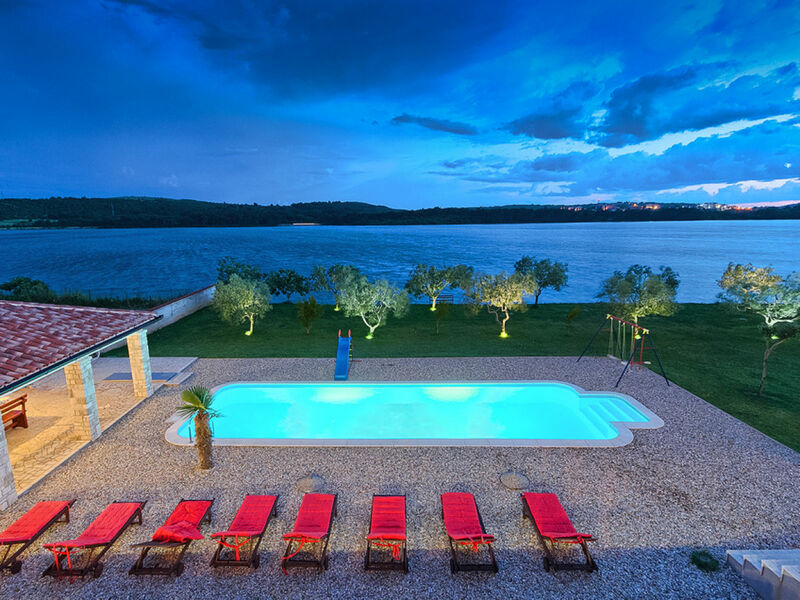 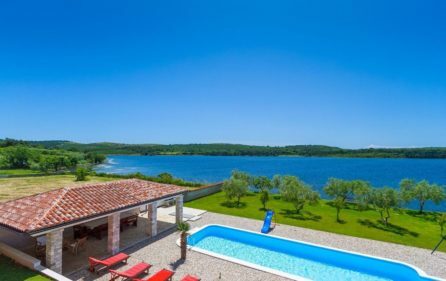 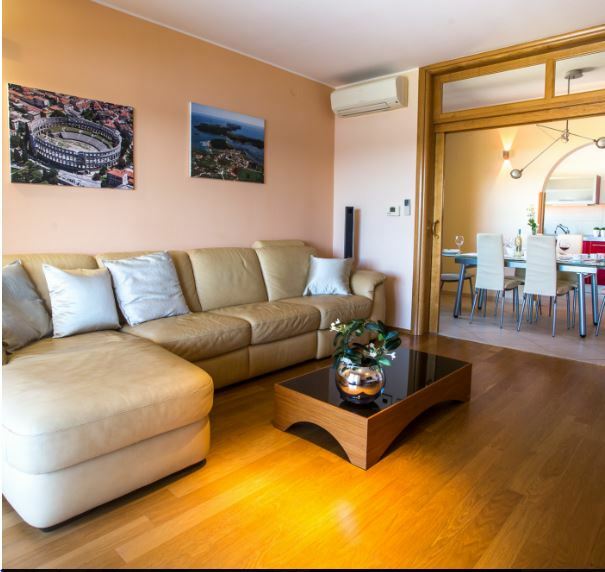 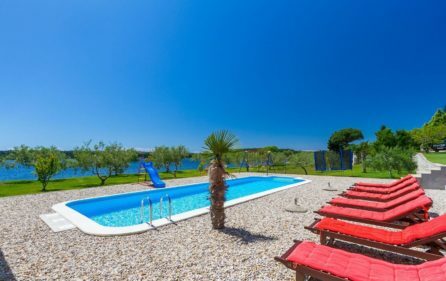 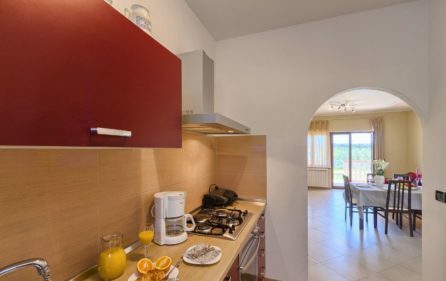 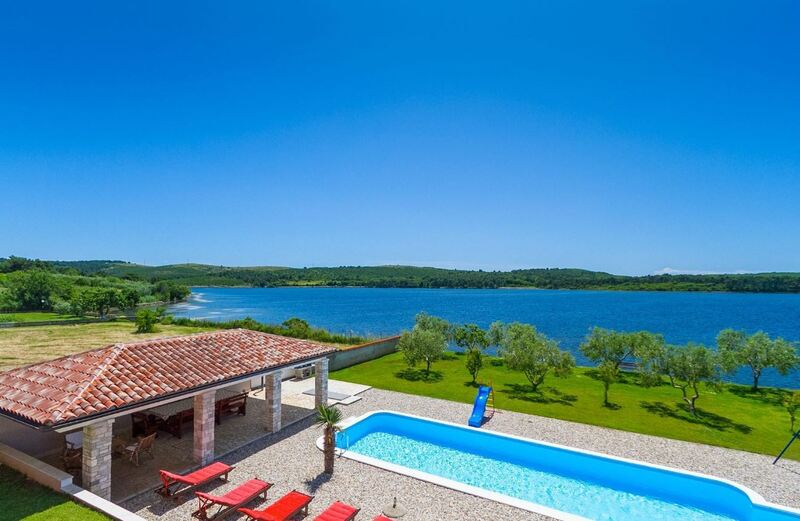 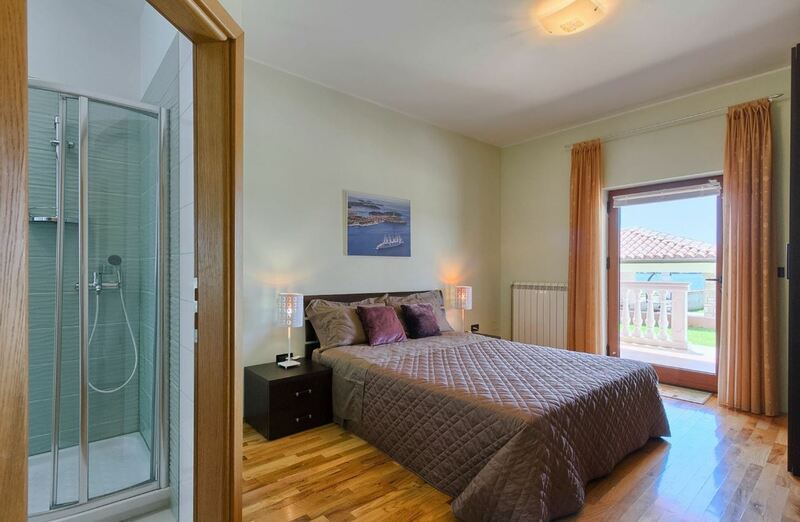 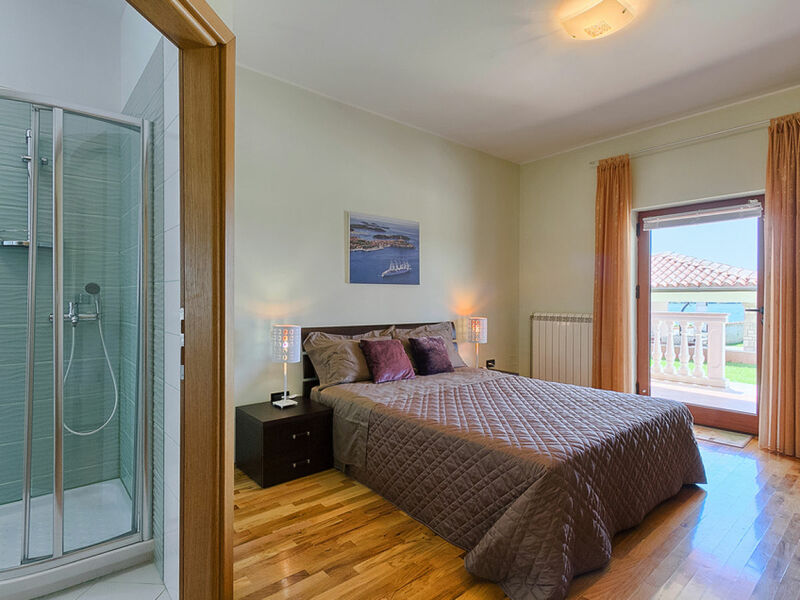 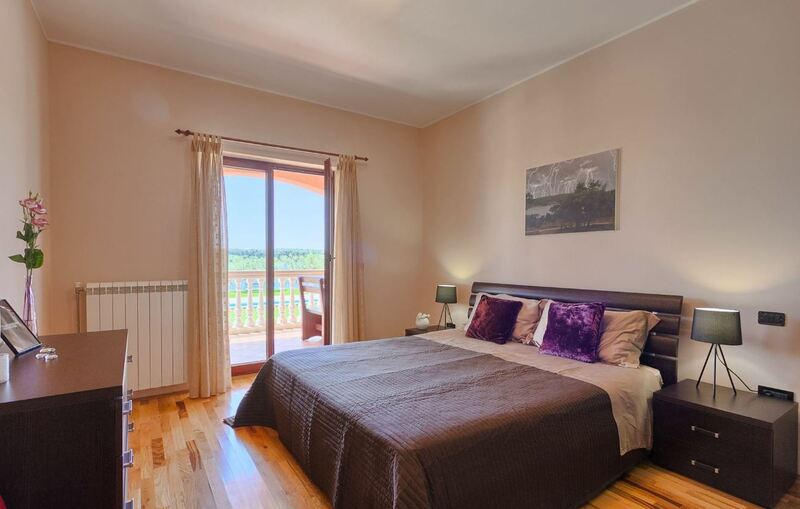 Seafront modern villa with swimming pool Istria is a holiday home located on the Istrian penninsula, in the small and quiet settlement Pomer. 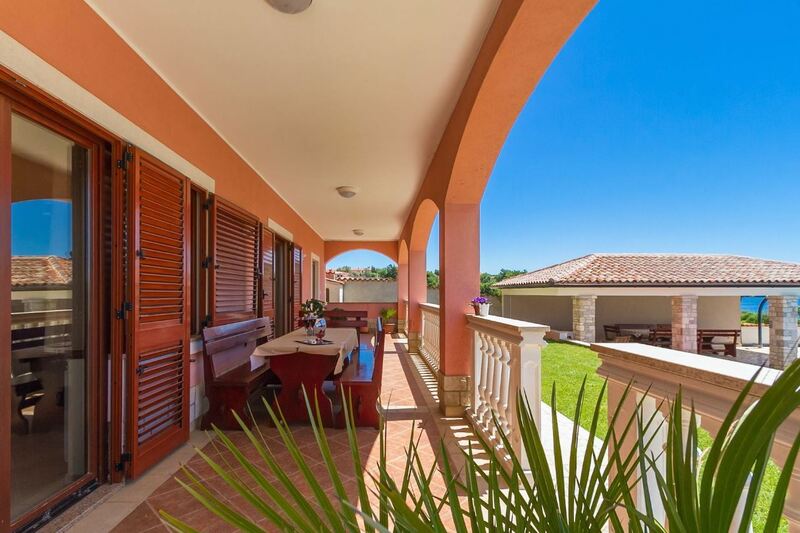 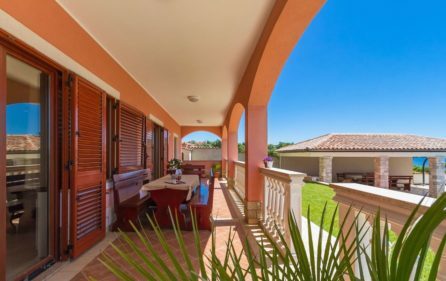 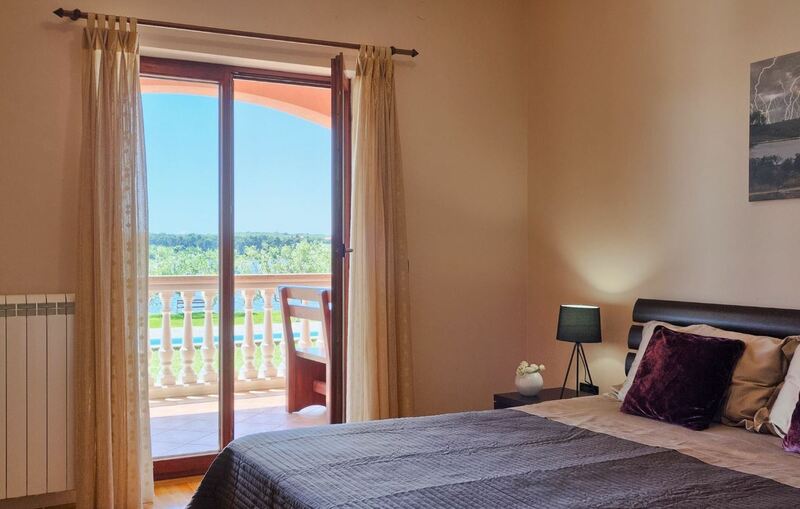 This great luxury villa has 6 bedrooms (4 -with extra large double bed, one with double bed and one with 2 single beds) and can accommodate 14 guests. 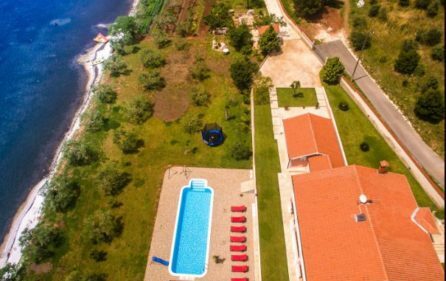 Great lush green garden surrounds villa and in garden there is a big private swimming pool (size 52m2), children’s swing, trampoline and a patio with sunchairs. Infront of the villa there is a summer kitchen with fireplace and a dinning table. 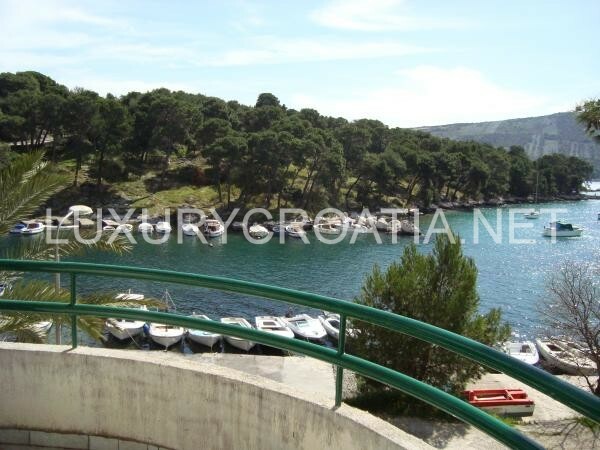 Parking place is also secured infront of the seafront villa. 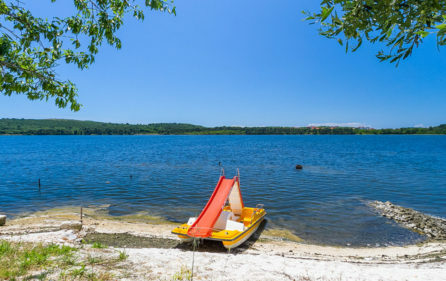 Beach is just few steps infront, and there you can find there a paddle boat for an easy sea ride. 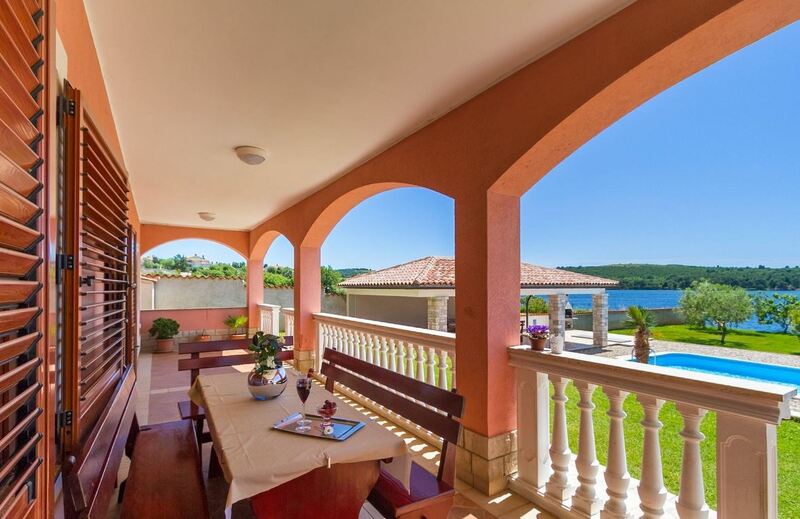 Seafront modern villa is divided in two units. 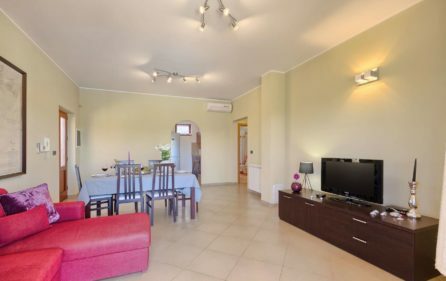 First unit of the villa accommodates 6+2 guests and is located on the ground floor of the villa with 126m2 it is fully air conditioned. 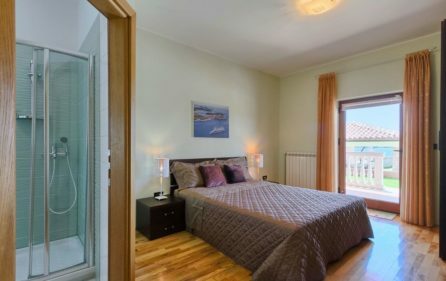 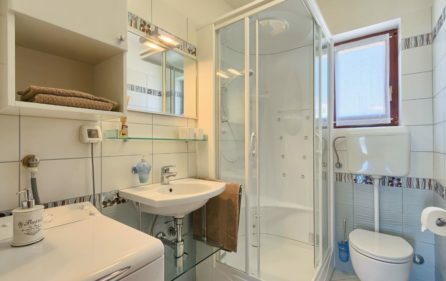 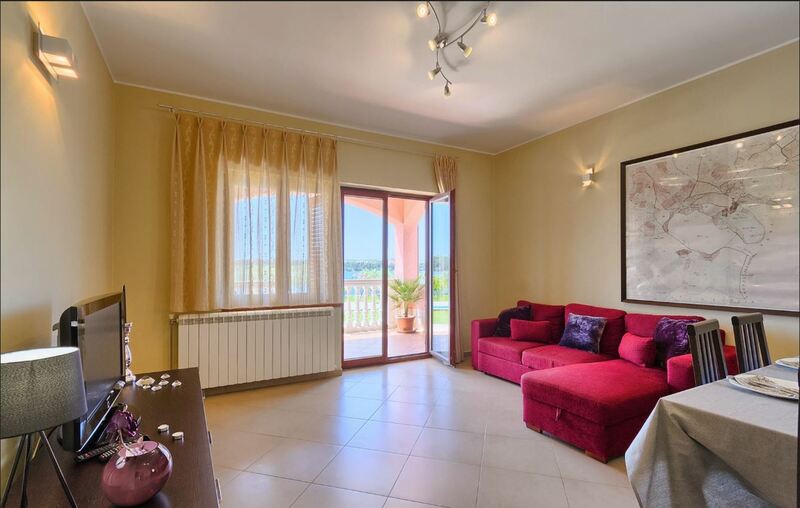 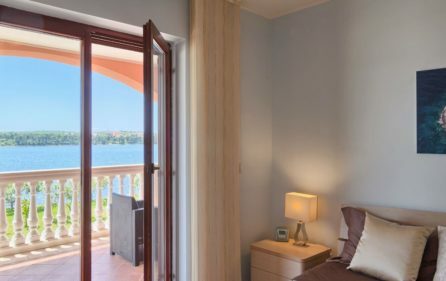 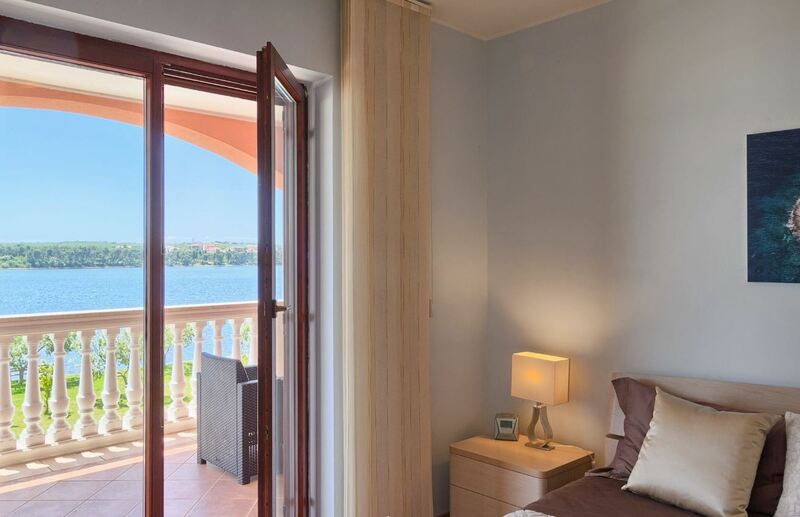 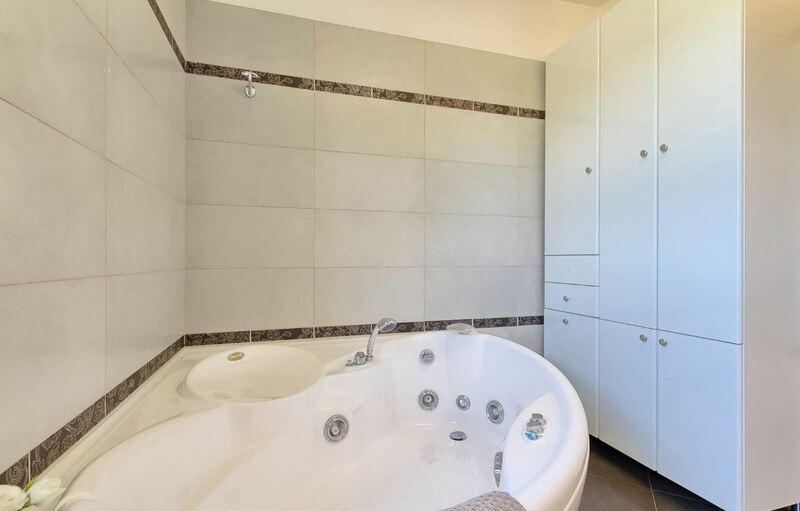 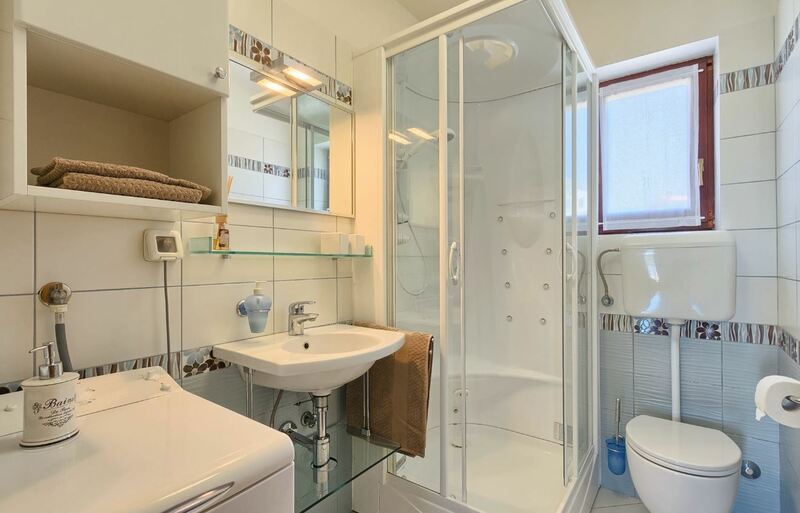 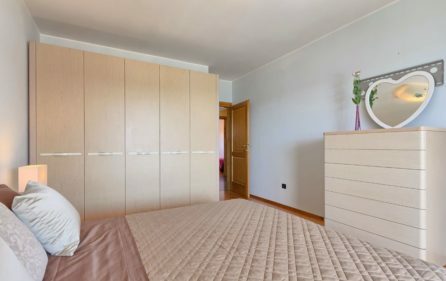 First unit of this modern seafront villa has 3 bedrooms, each with double bed, 3 modern bathrooms, luxury equipped kitchen and living room with 2 extra beds. 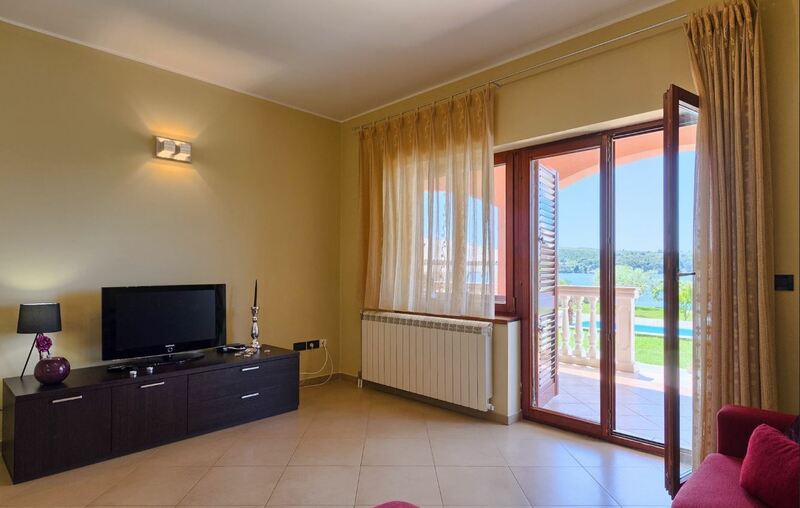 Second unit consists of an apartment size of 30m2 with covered terrace from which you have magnificent sea view. 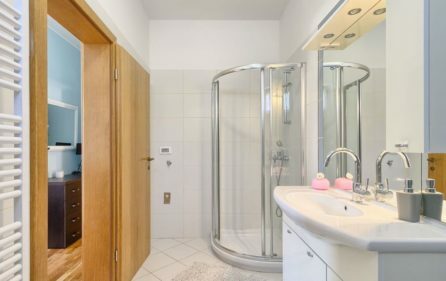 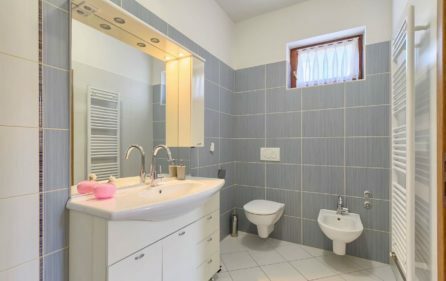 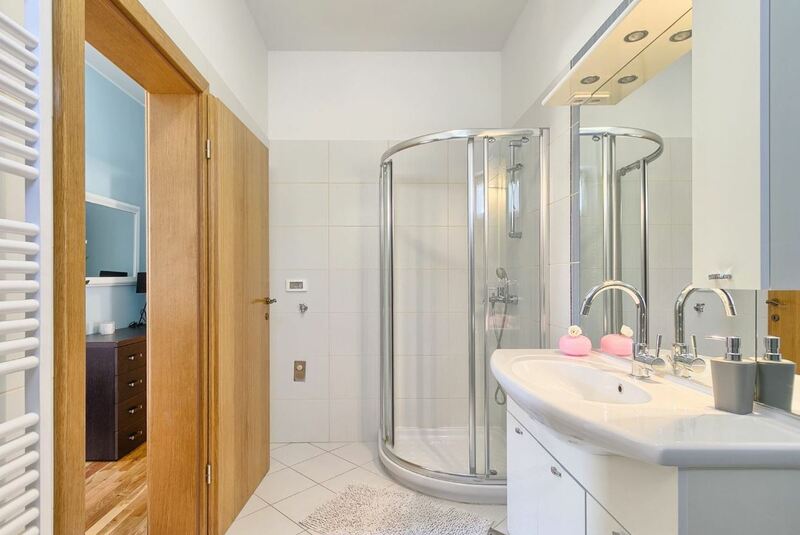 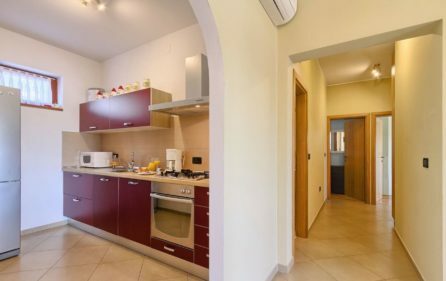 First floor of villa consists of fully equipped kitchen with dinning area, spacious air conditioned hallway, 3 bedrooms (each with double bed), 2 modern bathrooms (one of them featuring a jacuzzi, a bidet and a hairdryer, second one comes with a shower). 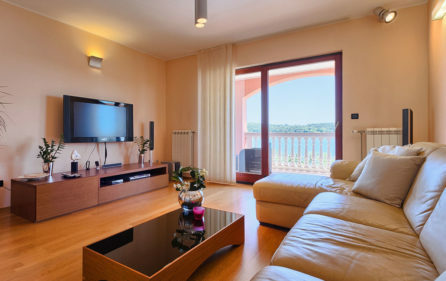 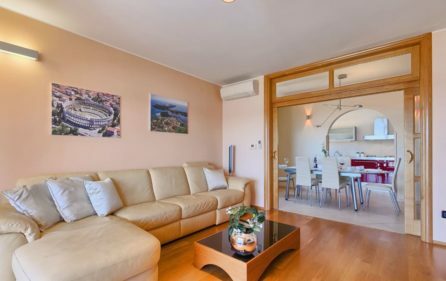 Both apartments have LCD/TV with satellite, wifi and air conditioning. 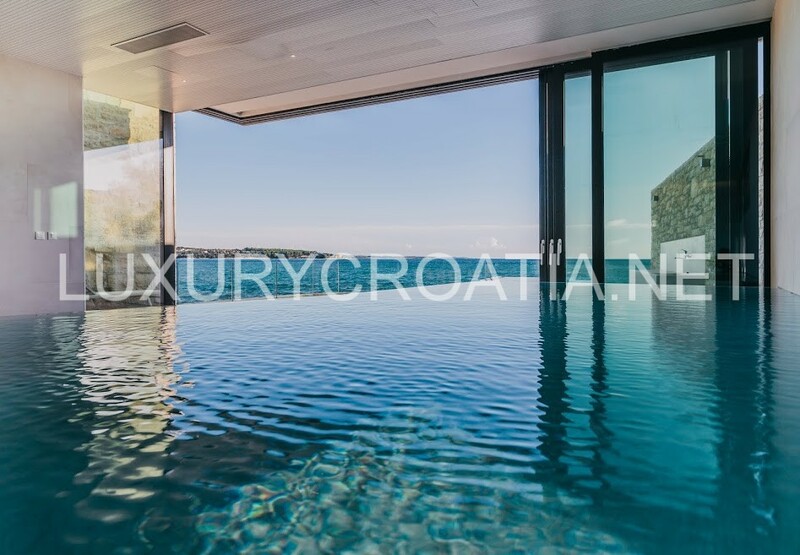 Exterior of the villa blends into it’s environment, while it’s interior is decorated to a high standard. Accomodation units are decorated with taste and simplicity, which is a subsidiary maximum comfort for each guest. 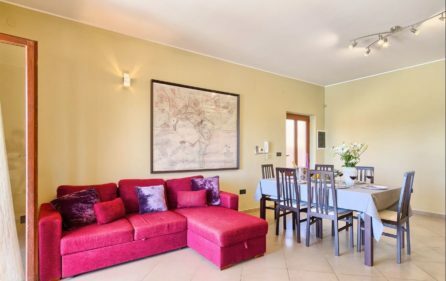 Guest can enjoy in spacious shared garden with 52m2 big swimming-pool and outdoor kitchen, which is equipped with bamboo sofa set. 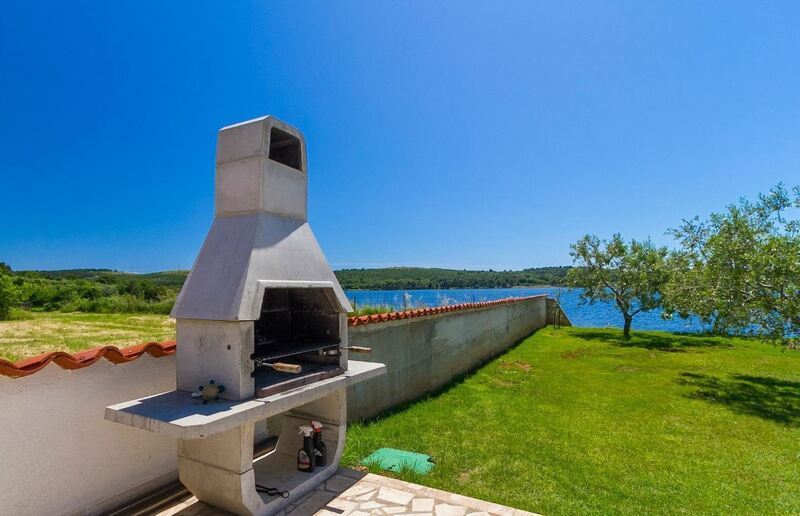 There is a 2 (two) parking space and fireplace for making summer meals outside. 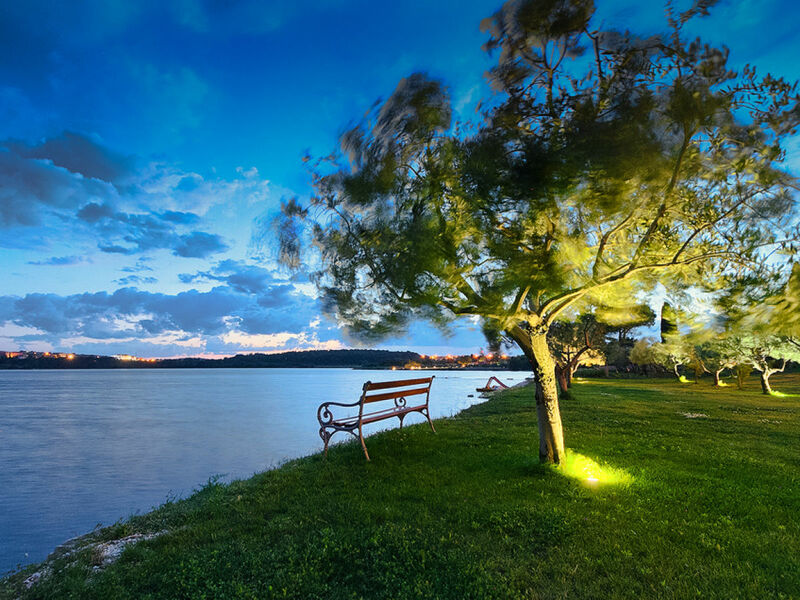 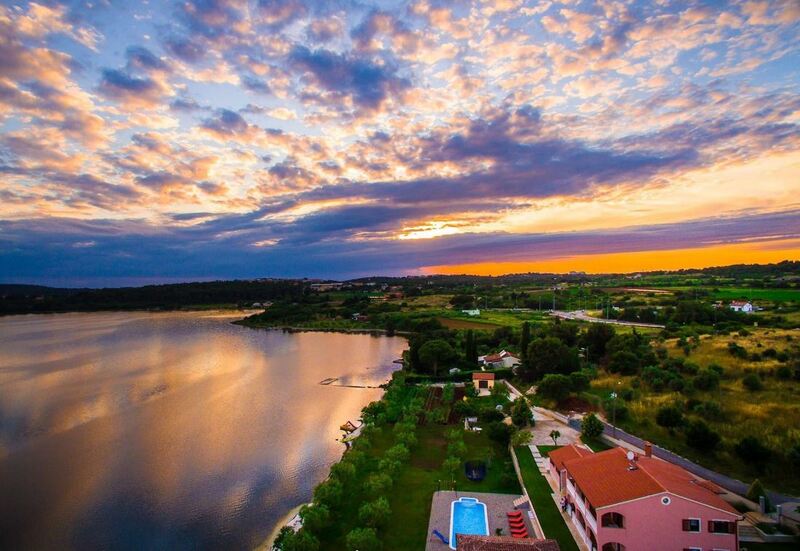 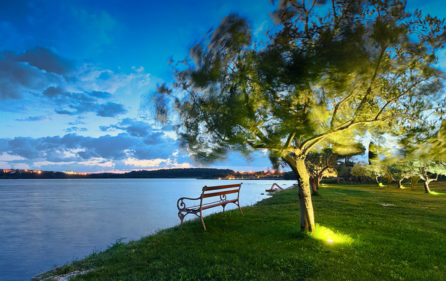 Welcome to Istria, a heart-shaped piece of heaven on the Adriatic. 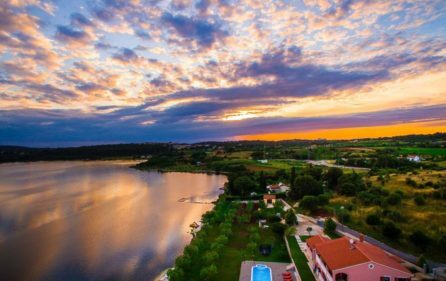 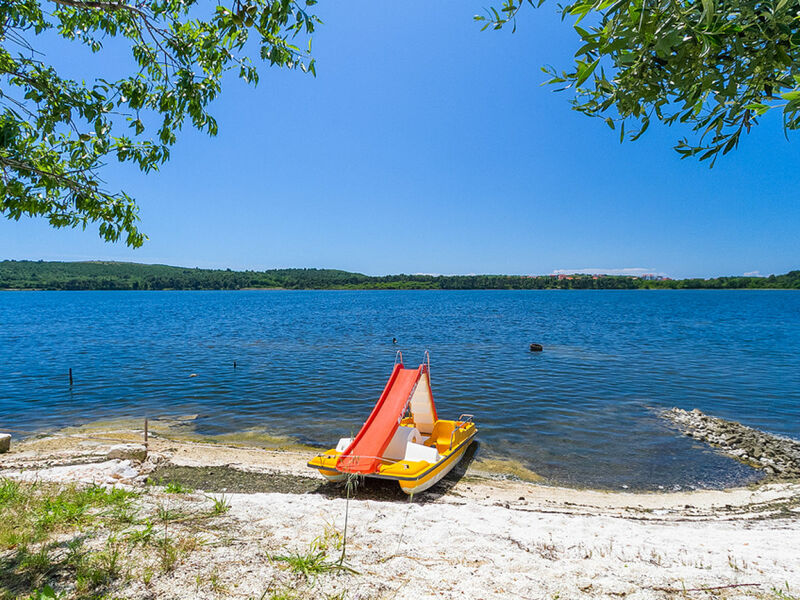 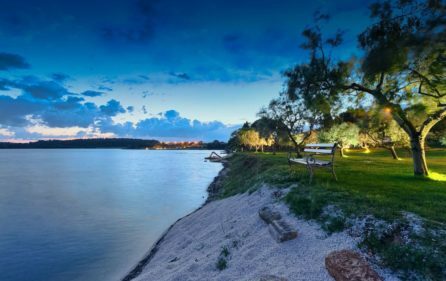 This beautiful piece of land is the largest peninsula in the Adriatic sea, known for their mild climate, clear blue sea and overflowing with natural beauties and heritage that you are yet to discover.